The DEKKA SE (previously DEKKA 22) is the standard DEKKA tape head. 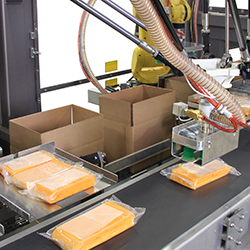 Eighty percent of production lines are mid-speed applications that require a tape head of this kind - durable and consistent. DEKKA SE 2" and 3" tape heads are precision constructed in high quality stainless steel using modern laser cutting technology and are highly finished for appearance and corrosion resistance. 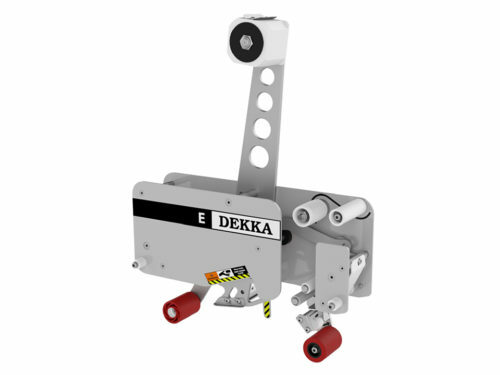 With DEKKA's open side frame design, tape loading is simple and easy. 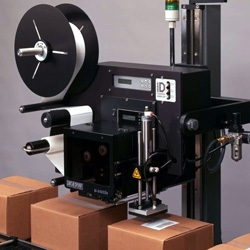 Loading can be done in 30 seconds or less without removing the tape head or taking the machine out of adjustment, which reduces down time and costly production delays. 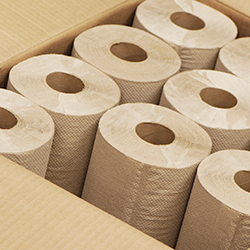 In conventional tape heads, feed rolls pull tape along its edges where breaks actually occur. DEKKA's exclusive No Break Tape system advances the tape along its centerline, avoiding edge stress and helping to prevent tape breaks. This system eliminates delays and lost production. 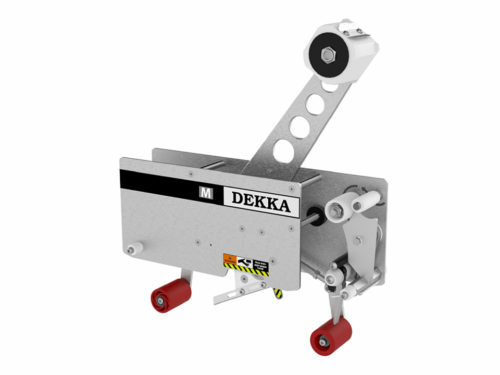 DEKKA's external tape guide physically holds tape ends in place unaffected by external drafts or loss of static attraction to the wipe down roller. The guide remains free from troublesome adhesive build-up. 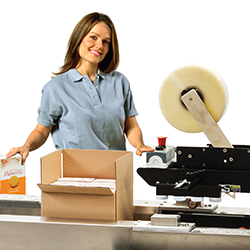 Whether taping case tops or bottoms, DEKKA tape heads reliably seal case after case, avoiding costly reprocessing of untaped cases. The main spring tension may be adjusted by selecting one of four preset leverage points. Adjustments are unaffected by vibration and shock. Many tape heads are fitted with separate roller sleeves, requiring frequent replacements due to surface breaks and splits. DEKKA's polyurethane wipe down rollers are molded in one piece. The result is tougher, longer lasting rollers requiring less maintenance. The oil pad on the blade cover provides lubrication while preventing adhesive build up on cutting edge, which maintains a clean, sharp blade for longer periods. The knife guard is independently mounted with its own actuating lever to minimize knife exposure and provide greater operator safety. DEKKA tape heads are designed to provide superior performance on all brands of tape, from budget price to premium grades, which helps minimize tape cost. 3" tape for larger cases or cases with gap flap. Mirror Image design - ideal for machine configurations that require access to tape head from opposite side. The DEKKA E tape head is a standard tape head for applying 2" wide tape. 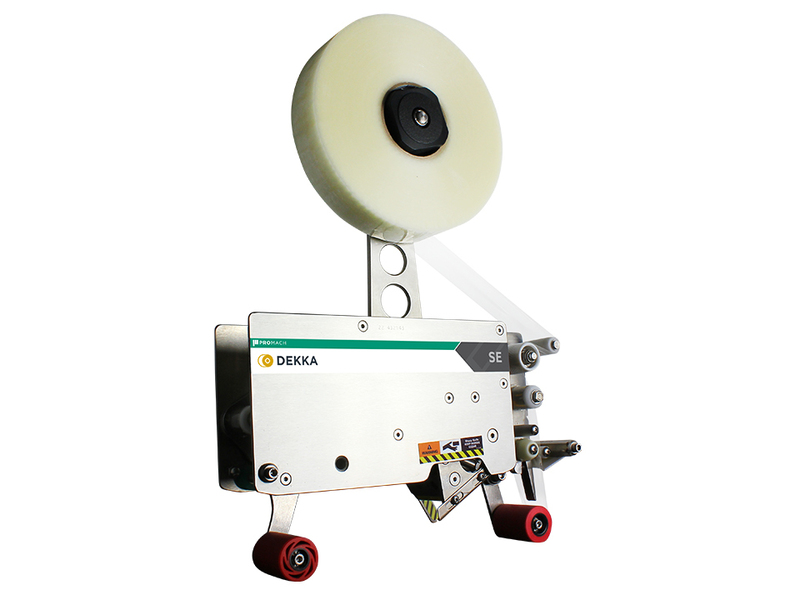 The DEKKA HS is a tape head for applying tape at high speeds. The M series of tape heads are highly customized or modified tape heads. 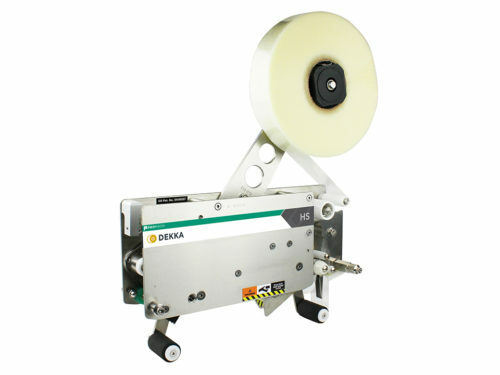 Dekka is a leading manufacturer of high quality tape head systems that are easy to load and feature our exclusive no break tape advance system.